Barely a week after the gruesome murder of Dr. Maiwada Galadima, a first class traditional ruler of Adara chiefdom in Kaduna state, men of the Department of Security Services have arrested and paraded some suspects allegedly connected to the murder. A report by TVC News revealed that one of them is a marked Boko Haram member. 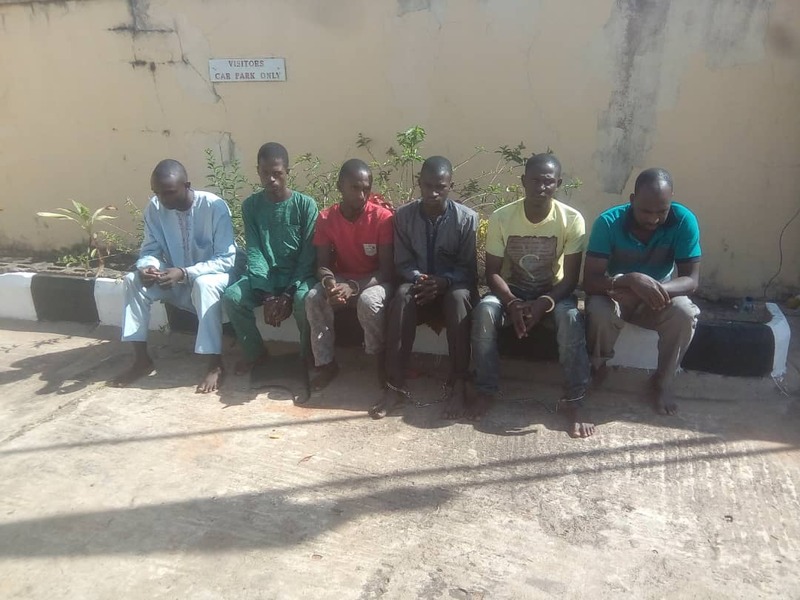 The DSS said the suspects demanded N100m as ransom but the family was said to have only afforded six million, eight hundred and fifty thousand naira which was delivered to the suspects. But still, they ‘wasted’ the revered monarch. DSS revealed that the six suspects were a part of the 20-man gang that executed the horrible act. The operatives are now on the trail of the rest as they promised to arrest all the suspects to face justice.